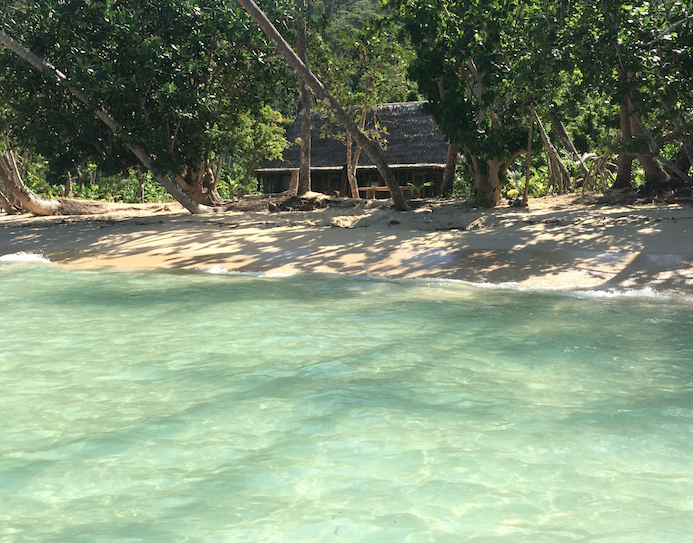 Every Bure at Waruka Bay Resort is absolute beachfront. To ensure your privacy no two Bure's have been built within 50m of each other. All of our Bure's have been hand crafted by local artists & tradesmen, using traditional materials, fused with modern architecture & engineering. The result is a series of generously proportioned bespoke Bure's with 6m high ceilings, 5 star energy rating, eco efficient designs and luxury finishes. Every room of your accommodation boasts stunning ocean views, including the shower from your outdoor bathroom & each Bure has both an indoor lounge room & undercover outdoor lounge area separate to its main bedroom. Walking trails between the accommodation and resort amenities run at the rear of the Bure's ensuring your uninterrupted ocean views, remain exactly that. We have both two bedroom and one bedroom Bure's to choose from and we are more than flexible on bedding arrangements and squeezing extra family members in if need be. Our Fijian Bures have been hand crafted by local artists blending traditional materials with modern, rustic, spacious interiors. The result is a boutique fusion of traditional Fijian architecture with 5 star energy efficient designs. 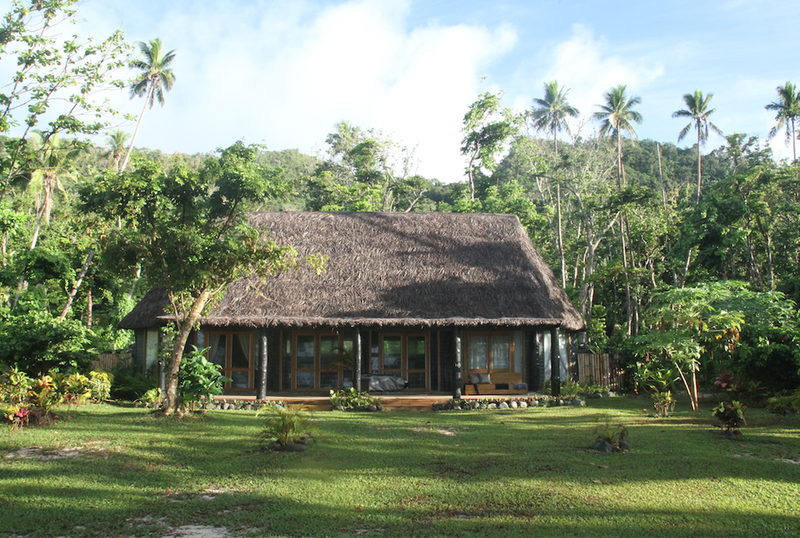 One Bedroom Bure from EU$160 / US$195 / AU$245 / FJ$390 / per night. 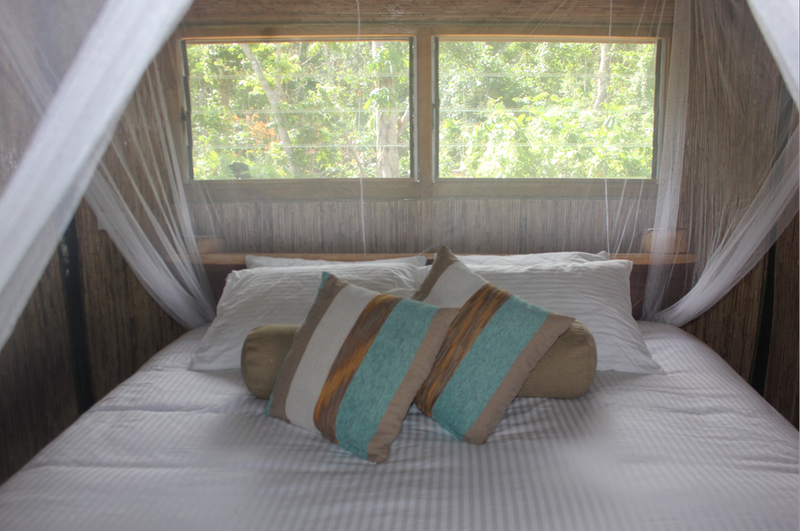 Two Bedroom Bure from EU$199 / US$245 / AU$305/ FJ$490 per night. Contact Management for specials on any stay 7 nights or more. Families can add a full time nanny for only FJ$60 a day. Our One Bedroom Bures offer a generous 72m2 of living space. An open plan lounge room is separate to the oversized bedroom. An undercover front deck provides an additional outdoor living area and comes equipped with with a daybed and a hammock. Additional features include luxurious king size bed, mosquito net, private ensuite with outdoor shower and drying area, instant hot water system, 240v power points, clothes racks and shelving, 6m high ceilings and uninterrupted ocean views. The Two Bedroom Grand Bure offers a generous 140m2 of living space. An open plan lounge/dining area separates the two huge bedrooms at either end of the Bure. An undercover front deck provides an additional 26m2 of outdoor living area and comes equipped with with 2 daybeds and a hammock. Additional features include luxurious king size beds, mosquito nets, 2 private ensuites with outdoor showers and drying area, instant hot water system, 240v power points, clothes racks & shelving, 6m high ceilings and uninterrupted ocean views. Use our contact form below and be sure to contact us directly for bookings. Reservations made directly through us will always be cheaper than any other booking site or agency. The Waruka Bay Resort Barefoot Bar & Restaurant serves up sumptuous breakfasts, lunch and dinner daily, overlooking our beach front views. With an emphasis on using only organic produce, mostly from our own vegetable gardens and fruit plantations here onsite. Seafood is a specialty of the house, with fresh crayfish, crustaceans and palagics are regularly on our specials board in addition to our extensive set menu listed below. Being a smaller boutique resort we also adapt our specials board to suit your preferences, so whatever you're into, just let us know in advance! We are only too happy to extend our range of vegetarian & gluten free dishes also. In addition to our organic produce, our chef's hand make all of our own pastas, breads & sauces onsite daily to ensure only the freshest delicacies are served to you. Guests can choose dishes from our extensive meal plan which includes three generously proportioned meals a day. Tea and coffee are included with breakfast and drinking water is available from the bar and restaurant at all times.